Variegated Solomon Seal is a great addition to the shade garden. This perennial with its graceful arching stems and white and green variegated leaves can add a bit of height and dimension in your shade to part sun garden in zones 3-8. 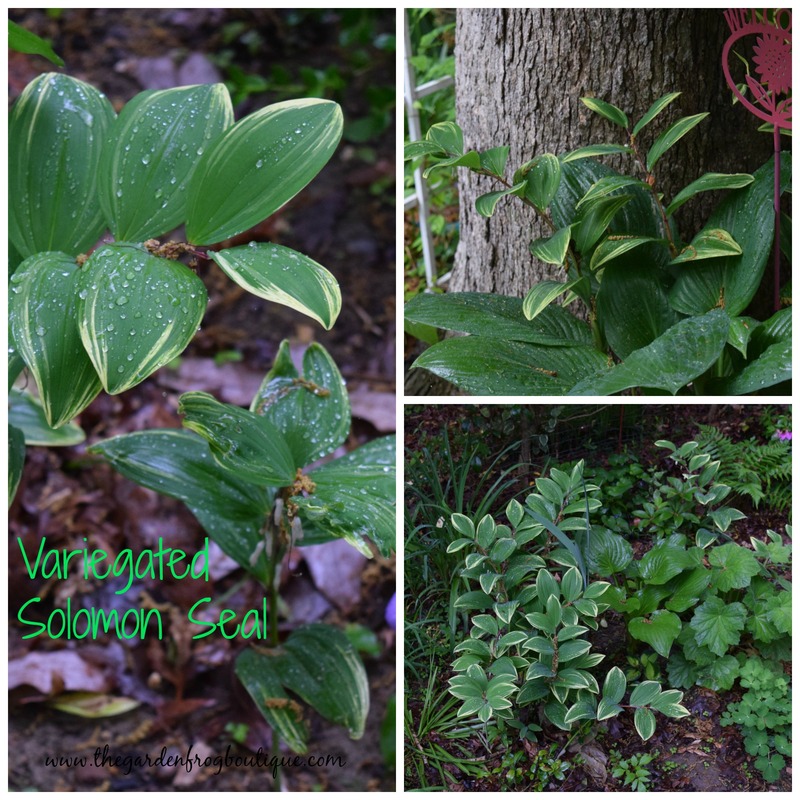 The Variegated Solomon Seal (Polygonatum odoratum Variegatum) loves moist well draining soil but here in my zone 7 garden it tolerates periods of dry shade and part sun. Variegated Solomon Seal is a very adaptable addition to your garden alongside with hostas, ferns, and heuchera. I started out with one plant several years ago and now I have it in many places in my gardens. Variegated Solomon Seal spreads by rhizomes and spread to ‘colonize’ an area within a few growing seasons for many gardeners. The rhizomes are not very deep beneath the top layer of soil and are quite easy to dig up and transplant in the spring or fall. Remember do not bury the rhizomes too deep and keep them watered the first season. If your garden budget is tight, then I recommend you buy one plant in your part shade garden. 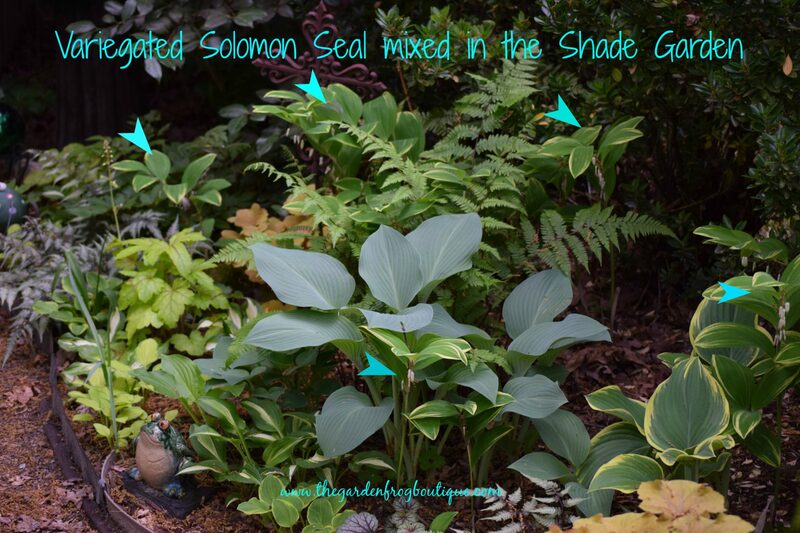 Within a couple seasons your Variegated Solomon Seal will fill in the spot or you can divide the rhizomes to start another clump in another part of the garden. Either way, within a few short years you can have this perennial beauty dancing in your garden among the Aquilegia, Heuchera, and Ferns in the shade garden. In the fall the Variegated Solomon Seal turns yellow and eventually the leaves disappear. I have had no insect or pest problems in the many years I have been growing it in the red clay soil of Virginia. 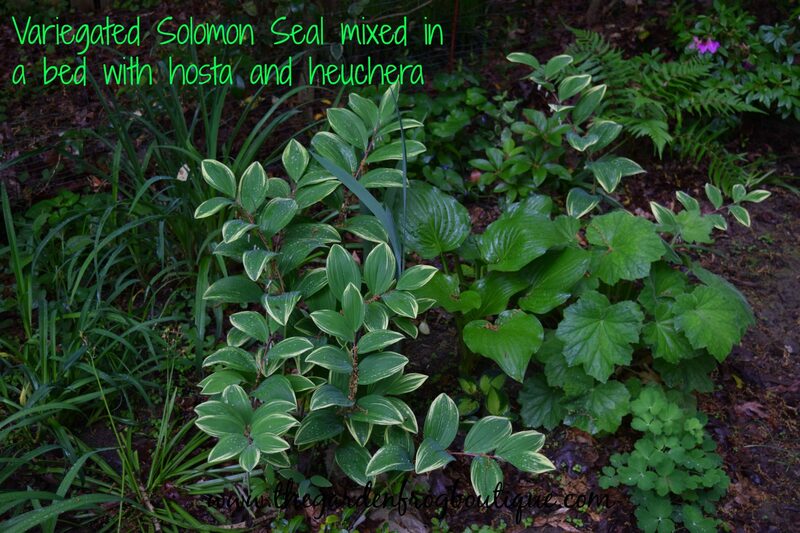 In 2013 it was chosen as the perennial of year so this gives you an idea how easy Variegated Solomon Seal is to grow. I have never fertilized mine nor do I do anything special– I just let it go and sometimes lift out a couple rhizomes to give away or start another garden bed. This is definitely a perennial you want to add to your garden. Thanks for stopping by and be sure to check out my other articles on gardening and DIY. 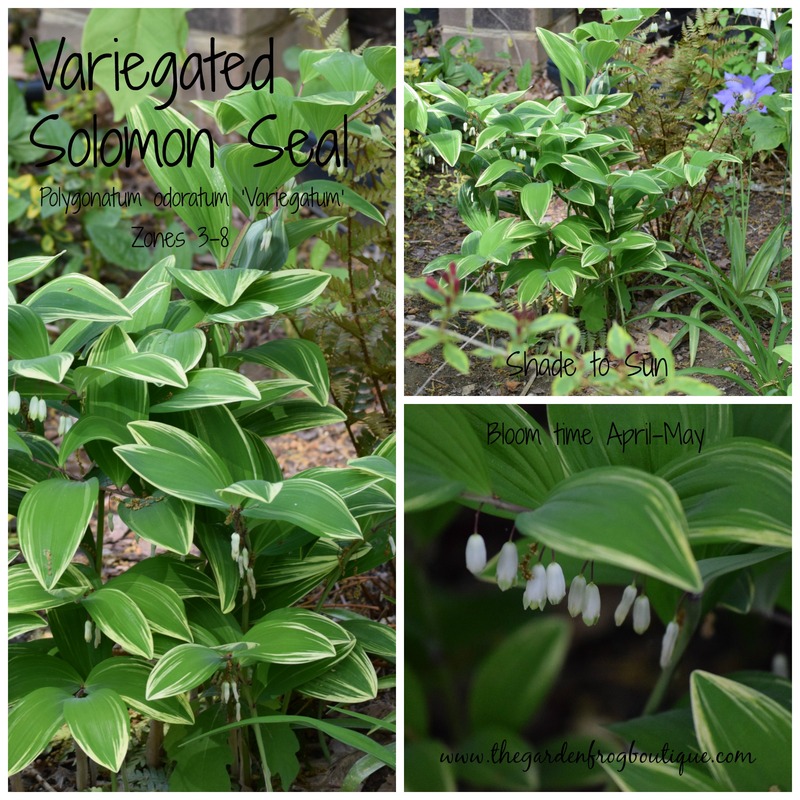 Happy gardening and watch for the Variegated Solomon Seal at your local garden center.